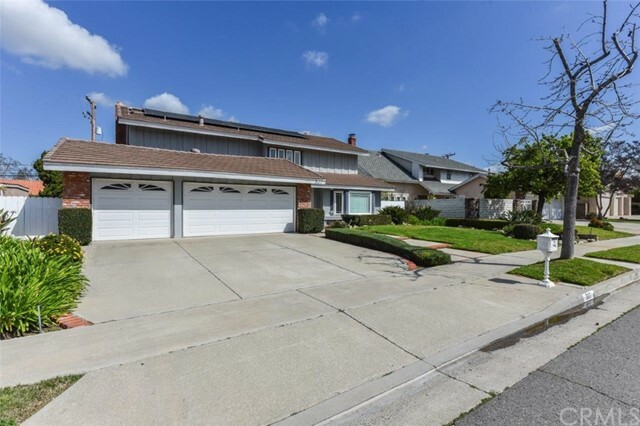 All Placentia homes currently listed for sale in Placentia as of 04/18/2019 are shown below. You can change the search criteria at any time by pressing the 'Change Search' button below. 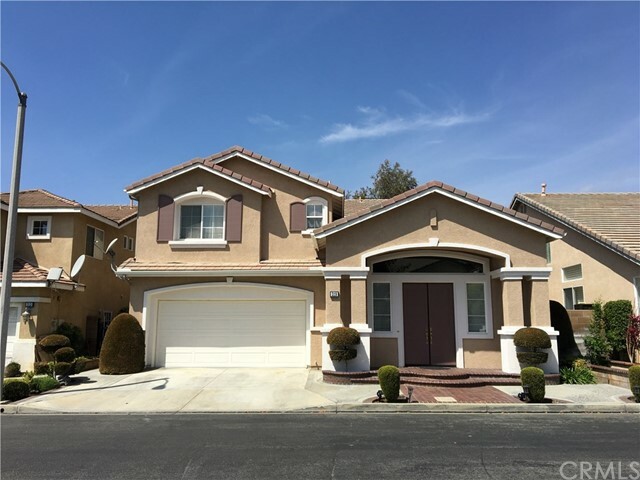 If you have any questions or you would like more information about any Placentia homes for sale or other Placentia real estate, please contact us and one of our knowledgeable Placentia REALTORS® would be pleased to assist you. 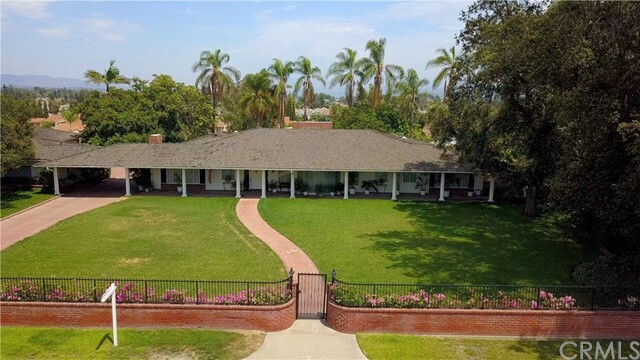 "Don t miss out on this one of a kind spectacular estate in the heart of Orange County. This beautiful, private, gated home sits on 1.2 acres. It is one of the last original ranch homes, built by the Kraemer family in 1949. The main single-story home is a sprawling 6,612 square feet of living space with a finished basement. There is also a guest house with two self-contained, one-bedroom apartments for the extended family, au pair, or senior assistant. The home features a spacious four car garage with a laundry area for the apartments and an additional half bathroom. The bedroom wing has three large bedrooms, each with its own en suite bathroom and dressing room. On the opposite side of the house is a cozy study equipped with built-in bookcases and a fireplace. The seller made over $300,000 in upgrades to the service wing, including the kitchen and butler s pantry, in 2015. The service wing has Wolf appliances, two Bosch dishwashers, two trash compactors, two Sub Zero refrigerators, a Sub Zero freezer, a warming drawer, heated counter tops and tile floors, and all custom maple cabinetry and millwork. This home is an entertainer s dream with a formal living room, separate formal dining room, family room, wet bar, dog lounge, and an expansive 42 x 35-foot media game room with floor to ceiling windows providing views of the beautiful hills and terrace in the back yard." "Absolutely Exquisite Bel Maisson Estate on Culdesac. Bring your pickiest clients as this property features gorgeous top of the line upgrades & amenities including: a beautiful frontyard with great curb appeal, & backyard with private spa and cocktail pool, waterfall with new pump, BBQ, lighting, outdoor speakers & sitting area, the inside has designer touches throughout including grand entry with new custom front door with speak easy, chandelier, travertine floors with mosaic inlays, granite kitchen countertops with large island, double oven, custom cabinetry with glass doors, stone backsplash, walk in pantry, downstairs office & full remodeled bathroom with travertine floors & shower, large family & living rooms with fireplaces, detailed wrought iron staircase, large upstairs loft/2nd family foom, jack & jill bedrooms connected by remodeled bathroom with granite countertops, dual vanity, stone shower & floor, beautiful master suite with large upgraded bathroom & walk in closet, stunning flooring throughout including hardwood floors, travertine & designer carpet, plantation shutters, crown molding, upgraded baseboards, new AC, intercom/radio system, new water heater, closet organizers, 3 car attached garage with epoxy floors, built ins & overhead storage, large community pool & spa where one can swim laps plus large grassy area for volleyball or other fun yard games, no mello roos & award winning schools." "A vision of elegance,charm & sophistication emanate from this lovely Bel Maisson home tastefully decorated & well maintained. It opens to a grand foyer on soaring high ceilings w/ beautiful tall over head stained glass windows, plantation wood shutters, wood,ceramic tile & carpet flooring in all the right places, newly painted, upgraded baseboards, newer water heater & baths/kitchen faucets, 2 fireplaces, ceiling fans. The entryway leads to a spacious formal Living Room with recessed lighting & FP that adjoins the Formal Dining Room & continues on to the bright Family Room w/ a media niche & the 2nd FP. The stylish gourmet Kitchen has the island w/ gas cooktop, granite countertops, cherry cabinetry,double oven, stainless steel appliances, recessed lighting, under cabinet lighting & a Breakfast Nook for casual dining. The versatile 4th Bedroom downstairs that can be an office or den adjoins a full bath w/ chrome frame clear glass enclosure bathtub/shower. An impressive grand staircase takes you upstairs to the expansive loft, the 2nd Hallway Full Bath, the Laundry Room w/ a laundry tub & many cabinets, the Jack & Jill Bedrooms between the 3rd Bathroom w/ dual sinks, separate shower & toilet area, the resplendent Master Suite w/ a balcony, an ensuite expansive master bath & roomy walk-in closet. The beautiful exteriors include the newly stained 3 car garage doors,stone inlay facade, sparkling pool & spa w/ new pump,built-in BBQ Grill & Bar. Great schools! Nice golf course!" "Truly one of the premier properties of Alta Vista South community. Overlooking the marquee 10th hole with amazing views of the green, lake and stone bridge. The property will not disappoint with exquisite upgrades throughout, including: gorgeous kitchen with huge island featuring granite countertops & backsplash, newly painted cabinets w/brushed nickel hardware, upgraded appliances, wine fridge, valances, double oven, downstairs bed & bath, 3 car garage, ceramic tile plank flooring(looks like wood), custom carpet & custom interior/ exterior paint, full security system w/ 4 ext. camera, beautiful iron security screen doors at front & back of home, A large master bathroom with a retreat , ceiling fans, built in entertainment center, garage cabinets & beautiful office wains-coating, crown molding, upgraded baseboards, plantation shutters, amazing views from master with balcony & retractable awning overlooking the most amazing golf & lake views. If you are looking for an incredible backyard setup you will find an overhead patio with recessed lights, new topsoil in yard, new garage vent, new backyard fireplace, bar area outdoor cooking stove, fountain, gazebo, fountain, artificial grass, Malibu lighting all overlooking the incredible view. The home is a four bedroom house but currently the forth bedroom has been incorporated into the master bedroom as a master retreat. ( can easily be converted back )"
"This is a largest home in a desirable gated community, next to the beautiful golf court. 5 bedrooms with 3 full baths, 2,900 sqft. The seller has upgraded for the kitchen counter top and cabinets. All bathrooms have new counter top, the new shower door and bathtub in the master bathroom. The wood flooring at upstairs, beautiful nature stone flooring at downstairs. One bedroom down, the seller use it as a office. Formal dining room, family room, and living room with huge space, high ceiling, it looks very open and gorgeously and luxuriously. There are 3 car garages and big lot of the driveway, great size of the back yard. Low tax and HOA fee, no mello roos. You must see!!!" 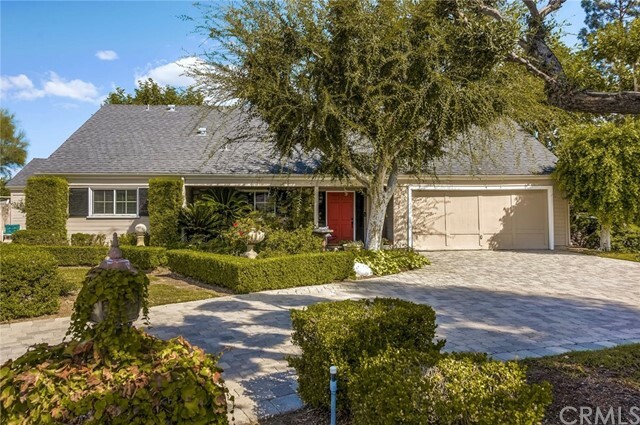 "GORGEOUS HOME IN THE GATED COMMUNITY OF FOUNDERS PARK. THIS SPACIOUS HOME FEATHERS CATHEDRAL CEILING ENTRY, 5 BEDROOMS, 3.5 BATHS, ONE BEDROOM AND ONE BATH DOWNSTAIRS FOR GUESTS OR EXTENDED FAMILY. OPEN LAYOUT, RECESSED LIGHTS IN THE KITCHEN AND BUILDER ACCENT WINDOWS FOR LOTS OF NATURAL LIGHT. GOURMET KITCHEN WITH CENTER ISLAND, SEPARATE PANTRY AREA AND LOTS OF CABINETRY. LARGE OPEN FAMILY ROOM OFF OF KITCHEN WITH COZY GAS FIREPLACE, SEPARATE DOWNSTAIRS POWDER FOR GUESTS, INDIVIDUAL LAUNDRY ROOM, AND UPSTAIRS YOU WILL FIND THE MASTER BEDROOM WITH WALK-IN CLOSET AND EN-SUITE BATH FEATURING SEPARATE STEP-IN SHOWER, SOAKING TUB, DUAL-SINK VANITIES & SITTING AREA. BACK YARD WITH PATIO AND BUILT-IN OUTDOOR BBQ. ATTACHED 3-CAR GARAGE. 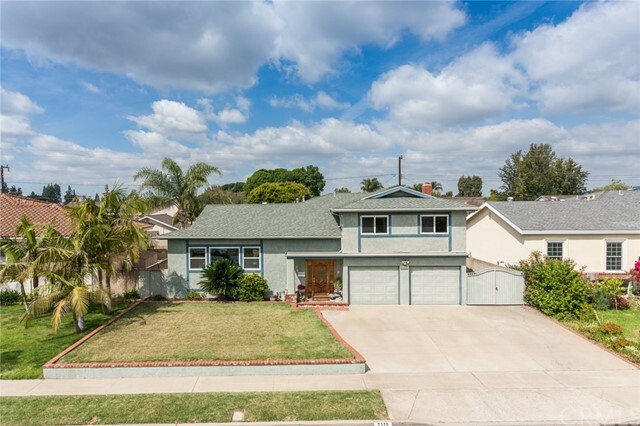 CONVENIENT LOCATION WITH PLACENTIA'S AWARD WINNING SCHOOLS INCLUDING VALENCIA HIGH SCHOOL, GOLF COURSE AND ENTERTAINING." "Welcome to 1560 Perry! This is a beautiful cul-de-sac pool home that has everything you could possibly want! Main floor bedroom and full bath, beautifully remodeled kitchen with granite and travertine that opens up to the large family room with fireplace. The family room was remodeled in 2018 along with a new sliding door that opens to the sparkling pool and patio. Pool was redone in 2018 with Pebble tech. Upstairs you will find the huge master suite with sitting area, 3 large closets and a balcony overlooking the pool. Along with the master suite there are an additional 2 bedrooms and one full bathroom upstairs. And if that isn't enough, there is also an extra large bonus room with wet bar. It's large enough to have a separate entertainment area and a separate office area if you like! Ceiling fans throughout the home. Custom crown molding and baseboards and newer windows throughout. Pull down ladder for attic storage. New HVAC system. Energy efficient items: Solar, attic fans, whole house fan, drought tolerant garden. This home has been meticulously cared for and shows pride of ownership. Great curb appeal with a 3 car garage! Top rated schools-Sierra Vista Elementary, Tuffree Middle School and El Dorado High School." 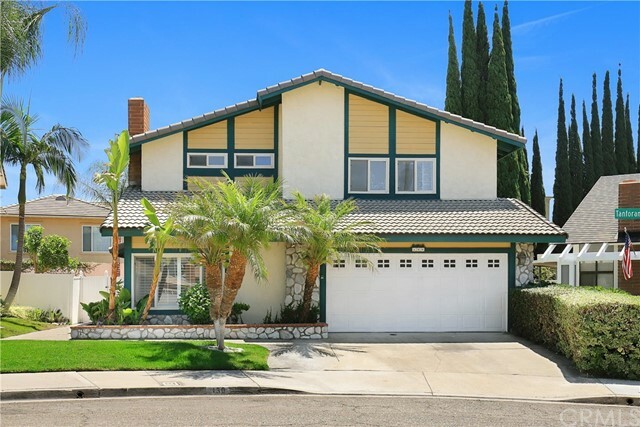 "This beautiful pool home defines gracious Orange County living located in the prestigious Placentia and awaits its new owner. The designer paint colors, recessed lighting, high ceilings, newer windows with blinds and custom window coverings complement the elegance of this open floor plan. Enter the spacious living room with a cozy brick fireplace and crown molding. The gourmet kitchen is equipped with double ovens, dishwasher, refrigerator, granite counters, solid wood cabinets, large island with bar seating and wine rack. In addition, downstairs has a formal dining room with stacked-stone wall and ceiling fan. The family room/ bonus room with built-in bookcases and bar flows seamlessly from the kitchen and features large light-catching sliding door to the backyard. Up the staircase is the over-sized master bedroom with plush carpeting, spacious walk in closet with built-ins and two ceilings fans. The master bathroom features his and her sinks, soaking tub and a walk-in shower. Two secondary bedrooms share a hall bathroom while one has direct access. Inside laundry with storage, whole-house fan and water softener system. Relax in the peaceful backyard with large patio cover, sparkling pool & spa, build in BBQ, gazebo, pond and plenty of room to entertain. Attached two-car garage and room for RV parking. Close to shopping, entertainment and award winning schools. Welcome Home!" "Exceptional location, Situated nicely in the Alta Vista golf course gated community of The Fairways .Some of the many upgrades in this beautiful home include: Travertine floors with marble inlay, spacious kitchen with stainless appliances, double oven, granite counters with travertine back splashes, 5 burner stove and gorgeous cabinets, marble fireplace and brand new interior paint Other features include remodeled downstairs bathroom, convenient indoor laundry room, ceiling fans , and plantation shutters. This desirable floor plan also has a downstairs bedroom and a huge loft that can be used as an office or bonus room. The master bedroom opens to a private balcony. The master bathroom has a jacuzzi bath with a separate shower, walk-in closet and new dual sinks and vanities. Beautiful private back yard with new sod and brick patio, is great for entertaining or relaxing. Just steps away from community pool, spa, and playground Plenty o extra storage in garage and Great school district and no mello roos." "Pretty soon, the summer sun will return to Southern California and when it does, THIS is the house to enjoy it in. While this beautiful home is freeway close and you can get to the beach in no time at all, why would you leave? Invite your friends over to this huge home with an Entertainer s backyard featuring a glistening pool and relaxing Jacuzzi it even has 2 original seats from Angel Stadium. This 5 bedroom home is spacious enough for even the largest family and sits on an oversized lot with mature fruit trees. When not enjoying this home's well-designed floor plan, you are a short walk from Placentia s best parks, restaurants and shopping. This home really has it all your forever home awaits." "Welcome home to this immaculate property with an extensive $250,000 remodel, top to bottom, with custom upgrades and high-quality materials. Every room has been meticulously planned and perfected. This beautiful pool home offers 4 bedrooms and 2.5 bathrooms with an excellent floor plan, perfect for entertaining. 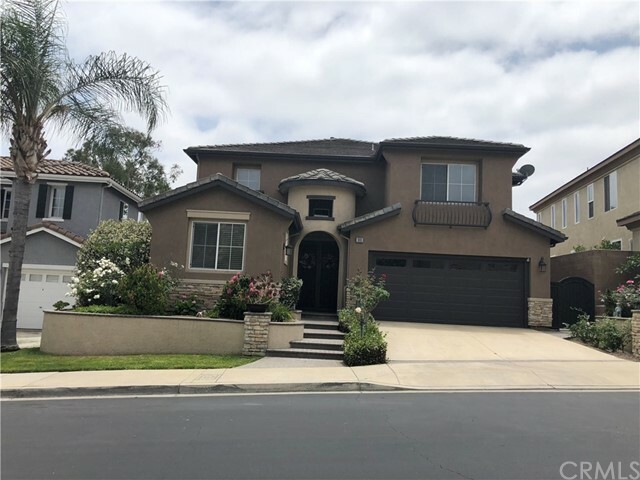 This home has great curb appeal starting from the new stucco and paint, brand new roof, modern stone accents at the front of the house including the pillars and a beautiful paved stone entry that leads to the double entry, wrought iron and glass front doors. This 9,000 sq ft lot includes a large grass area, patio and pool with even more room for RV parking or storage. Come inside to be totally wowed as the upgrades continue throughout. Some key features include a New Solar PV System, New HVAC, New electrical and all New appliances. A beautiful 12 ft wide La Cantina door that opens up the family room to the backyard. A hardwood floor entry with a two-tone hardwood floor staircase complete with a custom made wrought iron banister. Italian porcelain tiles the main living room, dining, family room, kitchen and bathrooms. New carpet with memory foam padding in the bedrooms. Custom paint throughout with 7 1/4 baseboards. All new real wood cabinets in the kitchen, bathrooms, hallway and laundry area. Over 40 recessed lights throughout. Too many upgrades to mention. Everything in this home has been upgraded and made new. So beautiful, you definitely want to see it in person." 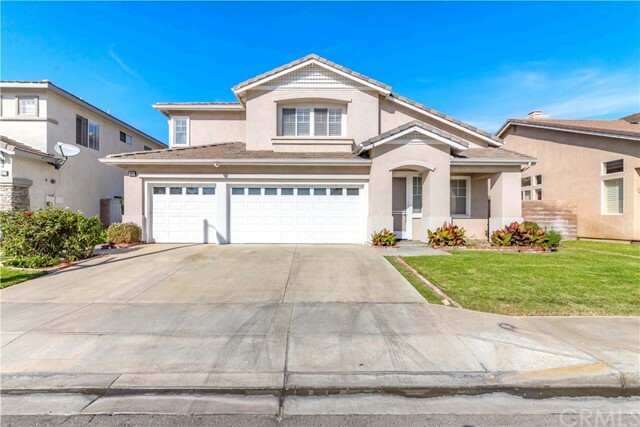 "Nestled in the neighborhood of StoneGate in Placentia, this two-story home features living & family rooms, formal dining, 4 bedrooms, 2.5 bathrooms, laundry room and plenty of storage space. Beautiful front elevation with bay window welcome you to a transitional style home. Windows above entry door let more light into the living space. Living room features double pane decorative windows, plantation shutters and crown molding. Direct access to side yard. Open kitchen and family room design is complemented by built in maple bookshelves around fireplace. Bay window over kitchen sink gives you a wider view of the pool and backyard. Custom maple cabinets, cup pulls, granite countertop, Electrolux 4-Burners electric cooktops and microwave combo wall ovens are features that any culinary lover will appreciate. Sizable laundry room has storage and work around space, exit directly to another side yard. All bedrooms upstairs, Master bedroom connects to Master bathroom via custom closet/dresser, which easily organize your wardrobe. This home has Pool/Spa, Fire pit, Outdoor Gas Grill to entertain and host your guests. Easy access to Fwy 57, 91 and Imperial Hwy 90. Walking distance to Tri-City Park and Golden Elementary School (10). 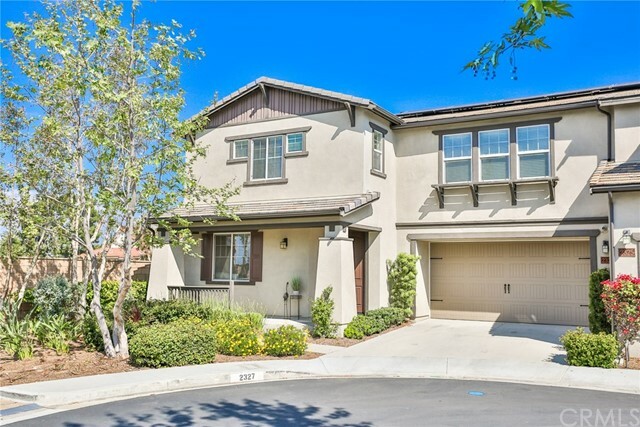 Short drive to Village at La Floresta (Whole Foods, Mendocino Farms, Urban Plates); Trader Joes, Home Depot, Walmart; Birch Hills Golf Course, Brea Sports Park and more outdoor activity venues." "Price lowered for quick sale! Beautifully maintained tri-level pool home literally just around the corner and a short walk from the highly rated Golden Elementary School! Also walking distance to Tri-City Park. One of the nice features of this home is a large bonus room downstairs with high vaulted ceilings that is great for entertaining or simply hanging out with family. Fireplace in bonus room, Off the bonus room is a nice work station that the current owner has used as a sewing room. Could also be used as a small office. Inside laundry room. All bedrooms are upstairs and there is a large master bathroom and large walk-in closet off the master bedroom. Dual pane windows throughout the home. Hallway bathroom was remodeled within the last ten years. Kitchen was also remodeled within the last ten years. Ceramic tile floors in kitchen as well as bonus room and entry. Spacious living room and dining room with crown molding. Kitchen looks out to pool area.Another nice feature is a laundry chute between the two upstairs bathrooms. Along with being close to good schools (Golden Elementary, Tuffrey Middle, El Dorado High School) this is also great location for other activities such as shopping and sport activities. Ultimately this is a great family home in a great location." 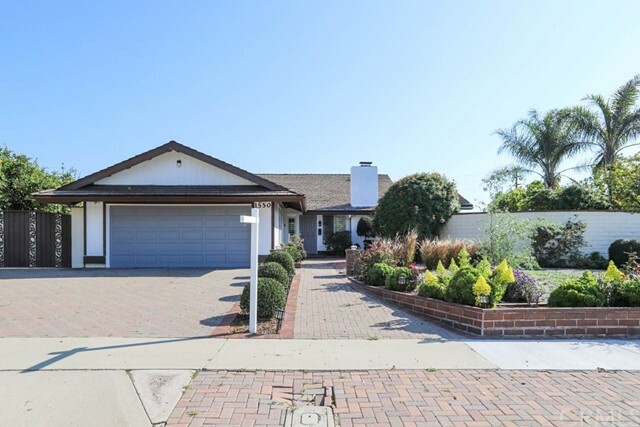 "A remodeled beautiful Home in Placentia, Corner Lot. This house offers 3 bedrooms, 2 bathrooms with an excellent cozy floor plan, perfect for entertaining. Everything in this home has been upgraded and made new with remodeled kitchen with granite and brand-new appliances that come with the house. Formal dining room, family room and living room with huge space, high ceiling look very open and gorgeously and luxuriously. The home has a large master bedroom like a spa with fire place, huge walk-in closet, Jacuzzi and sky-line which is very bright and relaxing after a long day at work. In Summer, this House offers a beautiful back yard with a nice pool and BBQ on the side for the family gathering on a sunny weekend. Too many upgraded to mention. 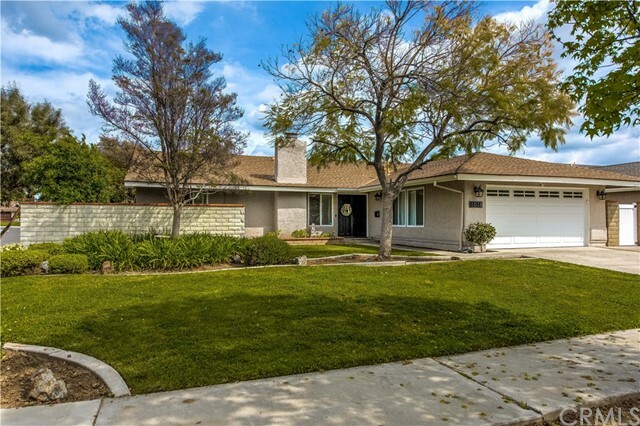 MUST SEE IN PERSON, YOU WOULD LOVE IT"
"Come see this beautiful double entry remodeled Ranch home, with awesome lay out, with huge living room and fireplace. Excellent location, near all the shops and easy access to freeway!! House came with newer roof, and solar system, newer driveway, and consisted with 3 large bedrooms, and bonus exercise room over view the beautiful enclosed patio and private back yard, large dining room ..so much more ." "This home welcomes you to the neighborhood with its amazing curb appeal! The home is light and bright with many windows and doors making it feel very open and welcoming! As you enter the home, you see the sparkling pool and fully landscaped backyard. The living room is complete with an impressive custom built-in over the fireplace and a wet bar perfect for entertaining. The family room is large and also opens to the backyard and is complete with a second fireplace. The kitchen is white with stone tile countertops and has a nice kitchen window that looks out to Alta Vista Golf Course. 4 bedrooms, all good sized (one currently used as an office with a Murphy Bed) and 2 updated bathrooms. The backyard is great for entertaining with a nice sized pool, mature landscaping, several sitting areas, a built-in BBQ, and more! The front is nicely kept with pavers, lush landscaping, and a fountain. Great location, nearby shopping, golf course, restaurants, and schools." "Contemporary newer construction with tons of upgrades. Desirable end unit location with no one on one side or rear. Relaxing front porch with adjacent additional parking and close proximity to the mailbox. Beautiful open floorplan with one bedroom and bath on the first level and three bedrooms including a Master Suite with 2 baths, game room and laundry on second level. Lots of room for get-togethers and parties. Kitchen has granite countertops, stainless steel appliances with a large work island. Laminate flooring on the first level and carpeting on the second level. The large game room easily holds a pool table, ready for games and activities. A few of the many upgrades include, plantation shutters, ceiling fans, surround sound, tankless water heater and artificial grass in the rear yard with a hot tub and lots of room for barbeques. There are solar panels for preserving the environment and lowering your electric bills. This property is within walking distance of the Village at LaFloresta shopping center making it an easy stop on the way home. Low HOA fees too! Come and see this beautiful property!!" "Southern California Living at It s Best. 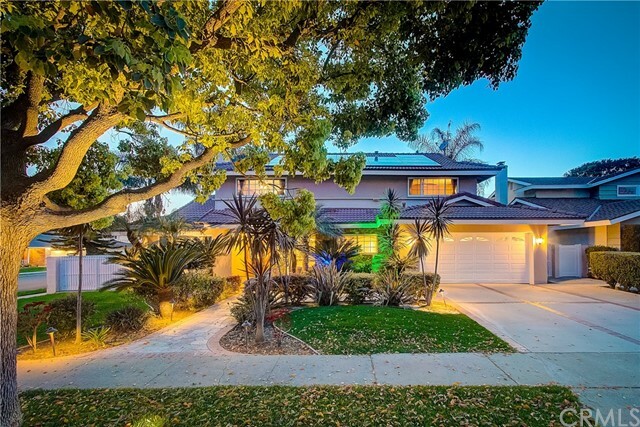 Located in the prestigious Traditions area of Placentia, this 4 bedroom, 2 bathroom, 1,709 sq ft home with a welcoming private front courtyard, is the epitome of Southern California living. The moment you enter through the double doors, you will be met with an open floor plan showcased with dark, textured espresso bamboo floors and vaulted ceilings. The stone fireplace invites you to enjoy the warm and bright living room area with dual pane windows and custom plantation shutters leading directly into the dining area. It even has hard-wired cat5 throughout! The kitchen has high quality, maple glazed custom cabinets, newer appliances, granite counter tops, recessed lighting, and custom bench seating for an additional eat-in area. The amazing all seasons room is perfect for daily family living or entertaining and the backyard not only has a grassy area for families and pets to enjoy, but a travertine paved covered patio with room to grill. Multiple mature fruit trees are equipped with their own drip irrigation system. The attached two car garage has an epoxy finished floor and additional storage. The wide, diamond cut concrete driveway is beautifully accented with custom stone. All this and just over half a mile walk to Tri City Park and a short walk to Golden Elementary. 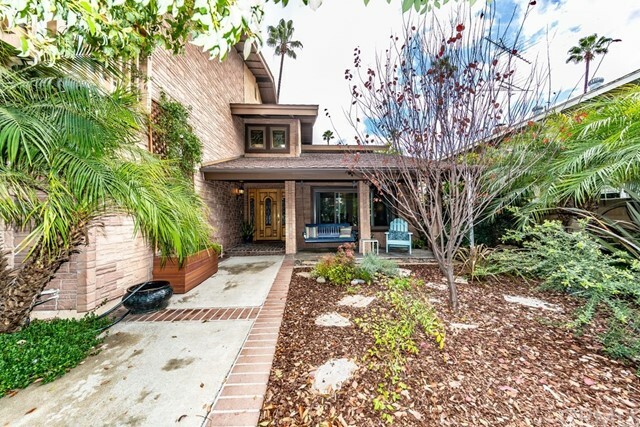 This Placentia home has curb appeal for miles and makes a statement!" 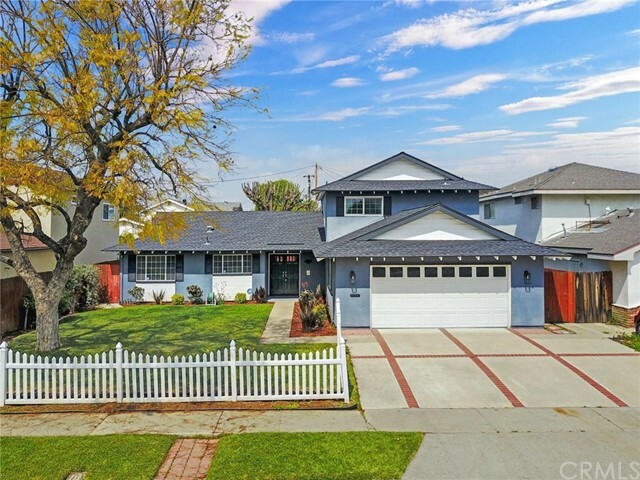 "Charming renovated residence situated in a quiet tree-lined neighborhood in Placentia! Fresh landscaping, white picket fence, and modern paint scheme makes this home the envy of the block! Gorgeous wood laminate flooring flows through the common areas complimented with designer neutral-tone paint scheme and stone-faced fireplace. Kitchen houses granite countertops and stainless steel appliances. FIVE bedrooms provides plenty of room for everyone! The main level master suite boasts his and her closets with new mirrored sliders and an en-suite bath. The expansive back patio provides the ideal space to host and entertain your guests. Additional features include HVAC, covered patio, attached two car garage, and jungle gym in backyard. Do not miss out on this home come see it today." "This 4 bedroom corner lot SINGLE story home is pristine and not a detail has been spared! If you love to entertain this home is perfect! The laminate flooring throughout the home is not only beautiful, but it is easily maintained. Recessed lighting and plenty of windows light up this home. Formal living room with fireplace and vaulted ceilings greet you as you step through the double doors. 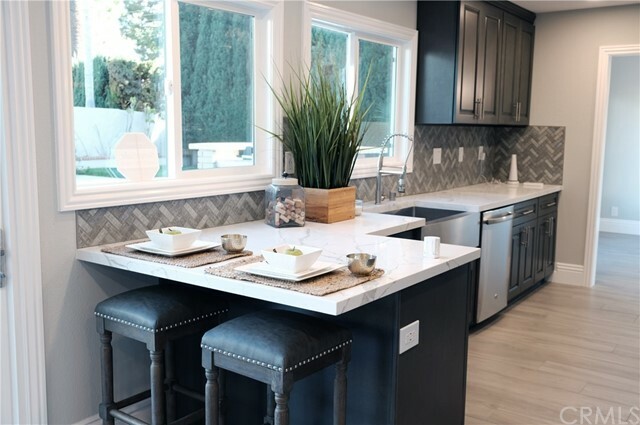 The open kitchen has been completely redone with all new modern inlay cabinets, beautiful Quartz counter tops, a large island with seating for six, a stunning tile back splash and stainless steel appliances. Oversized family room with brick fireplace and custom mantle is perfect for cool evenings. The bathrooms have also been beautifully appointed with all new vanities, counter tops, tiled flooring, sink and light fixtures. The private backyard features raised planters that are perfect for a garden, a large concrete patio with vinyl patio cover and grass area for pets or kids. Side yard is large enough for recreational toys or storage? Convenient interior laundry room. 2 car attached garage with roll up garage doors and wide driveway. 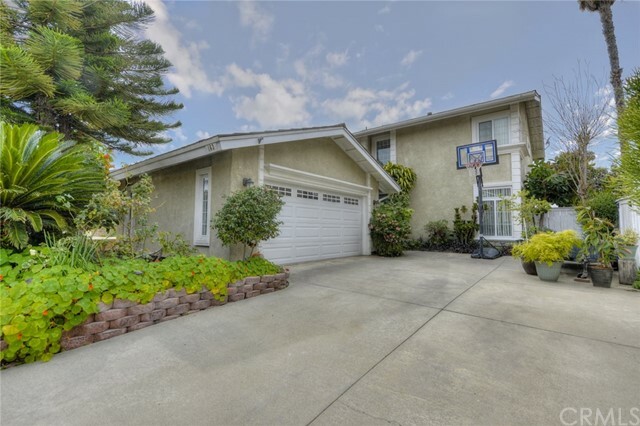 This home is within walking distance to parks, schools and shopping. Located in award winning Placentia/Yorba Linda school district. This is a must show to the most discerning buyers. Your home search is now over!" "This spacious home sits on a spacious lot and truly is an Entertainer's Delight! Features vaulted ceilings as you enter, this home boasts a formal living room, connecting with formal dining room. Open kitchen offers new tile flooring, newer stainless appliances, contemporary mosaic backsplash, tiled counter tops and plenty of cabinets space. (Great views from kitchen, overlooking the inviting backyard!) Off the kitchen, the family room features a mantled fireplace and direct access to backyard via a new slider window. Spacious spare bedrooms offer newer carpet, large double closets, plantation shutters and ceiling fans. The large master bedroom suite features walk in closet, updated bathroom flooring and newer tiled shower enclosure. The main attraction of this home is its park-like backyard, showcasing its long covered patio, sparking pool & spa. Newly updated aluminum covered patio offers plenty of shade and ideal for those summer family gatherings. Also featured is BBQ island area complete with grill, sink and storage. An array of plants and trees around pool and spa area, give a sense of your own private oasis! Other great features include newer water softener, recently serviced HVAC, pre-wired for internet and 2 car garage with plenty of storage. 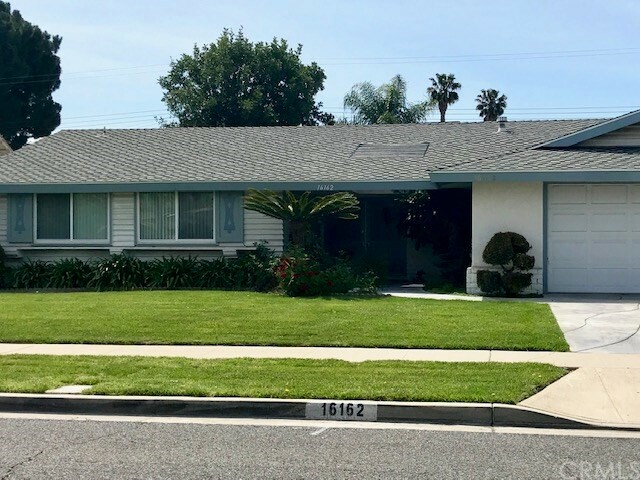 Conveniently located near Cal State Fullerton, 1 block from Alta Vista Golf Course, across from Placenta Library and Civic Center, and easy access to the 91 and 57 freeways. No HOA! A Must see!" "Honey Stop the car! I can see the Disneyland fireworks from here. 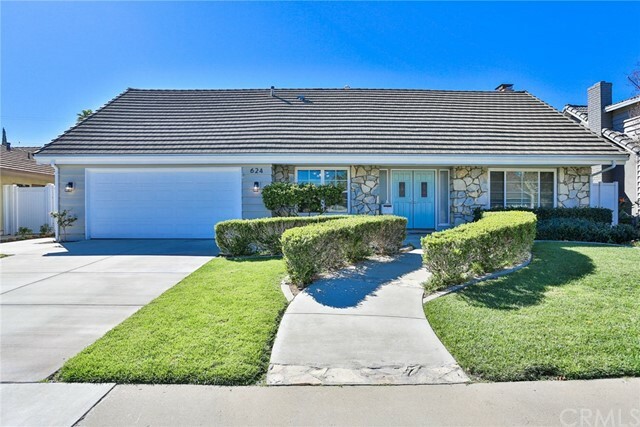 Welcome to 163 Saddle Dr, Placentia. This 2 story home offers 3 bedrooms 3 baths. 2306 sg ft of living space. As you walk into this home your welcomed into the living room which features high cathedral ceilings, wood floors a big dining room for all those holiday gatherings. The family-room which is adjacent to the kitchen has beautiful wood laminate floors and a cozy fireplace and a wet bar with a nice view of the garden outside. The kitchen has a great bay window and it has granite counter tops and strong wood cabinets and recessed lights. A separate laundry room. The home has cathedral ceilings through-out, even in the bedrooms. The Master bedroom has walk-in closets and a sunk in bath. Plenty of mature fruit trees in the yard. A wonderful place to call home. This home has a 4 car driveway and a 2 car garage. There is a mobile stair chair for use if needed but can easily be removed." "Location, Location, Location! This absolutely stunning pool home is newly remodeled with brand new kitchen featuring quartz countertops, new cabinetry, elegant back splash, recessed lighting. Formal dining and separate breakfast nook, all new flooring throughout, new ledger fireplace, new upgraded bathrooms, a separate soaking tub and shower in master suite. A fully remodeled private pool and spa is perfect for entertaining family and guests. 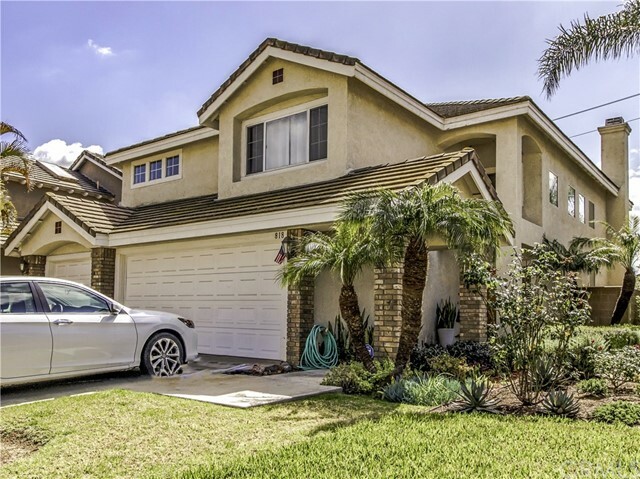 Property is embraced in a small community, minutes from Yorba Linda and conveniently close to restaurants, shopping areas, and excellent schools! Come check it out and write a best offer to make it your home!" "This Maples Plan 3 is located within the ideally located gated community of Founders Park in Placentia. This 4 bedroom, 3 bath residence was built by HQT homes in 1997 with modern design touches: high ceilings in the living room, possible 5th downstairs bedroom (currently configured as a large family room), gourmet kitchen with an island counter, separate eating area, spacious master suite with vaulted ceilings, full downstairs bath, convenient upstairs laundry room, and hard surfaced flooring throughout. All assigned schools within the award-winning PLYUSD district are top tier: Tynes Elementary, Kraemer Middle School, and Valencia High School. 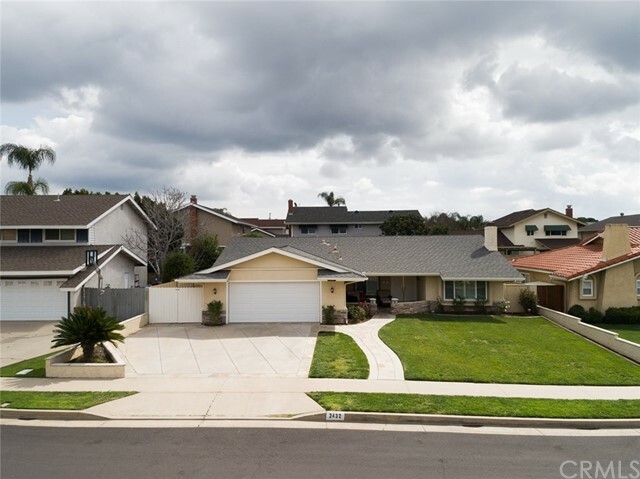 Convenient access to 57 and 91 freeways within 2 miles."